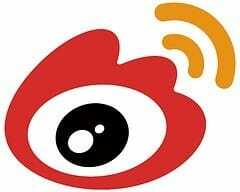 Here are a few of the most interesting Weibo statistics and facts I was able to dig up. As always, be sure to check back in the future as I will be updating this post as new and updated stats become available. With a number of Chinese digital companies going public in the US in the near future, Western interest in these companies with gigantic user bases is starting to grow. One of these China-based social behemoths is Weibo. Weibo, a microblogging service, is commonly referred to as the “Chinese Twitter” and as you will see from the stats below, it is very comparable in size and engagement to its stateside counterpart. 25 Amazing QQ Statistics and Facts (2019) | By the Numbers Updated for 2019. Here is a comprehensive list of all of the QQ statistics and facts that you need to know.